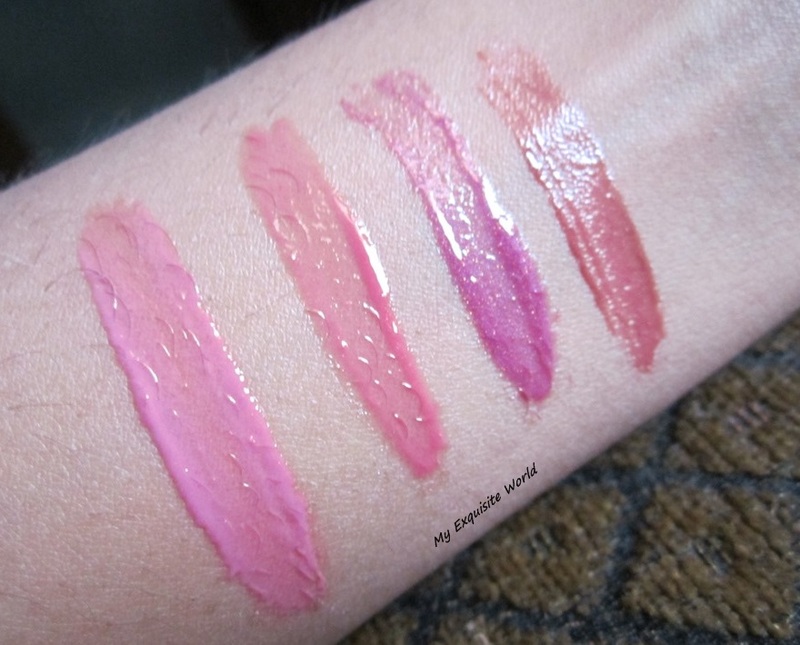 I am not a lip gloss person but I do have a few lip glosses that I wear to top them over lipsticks for a glossy finish.There are different formula,finishes available in lipglosses.I do have bright shades and subtle shades which can be worn depending upon the occasion.Below,I have shared 4 shades that are in the Subtle category apt for daily wear.But Of Course,one can choose for brighter shades as per choice!! Electric Shock is a bright bubble gum pink.Just the right Barbie doll shade if you are going on a girls night out.Whenever I wear this shade,I feel like using pink eyeshadow and baby pink blush to complete the Barbie doll look.The texture is quite thick but comfortable on lips.It doesn’t feel heavy and it isn’t sticky at all.I have a very bad habit of licking my lips(lol) but this gloss doesn’t transfer.The high shine formula is amazing. 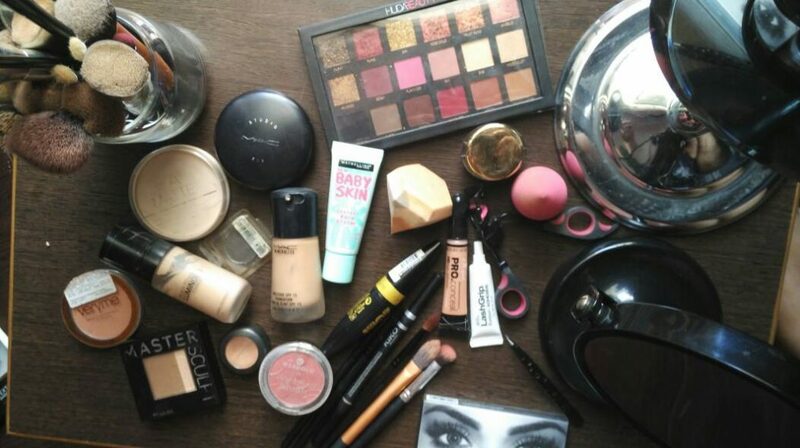 The gloss is decently pigmented.The finish is glossy.Staying power is around 3-4 hours maximum.It does survive one meal and drink but afer that I could easily see fading away. Bourjois Effect 4D Lipgloss-Rose Metallise 64:- Rs.680. The shade is a beautiful raspberry pink that looks gorgeous on lips.It does have a lot of shine and gives the appearance of fuller lips.The shimmer that comes along is silver pink in shade and adds a shimmer effect to the gloss.However,i feel when the shimmer is added,the shade appears less intense. The texture of the gloss is very light and it applies easily.The gloss is decently pigmented and i think it will suit all skin tones with the difference in the level of pigmentation.Staying power is around 4 hours maximum. Mall Madness is a gorgeous plum-pink shade with gold and pink & violet micro shimmers.It is very beautiful and looks pretty on all skin tones.The texture of the lip glass is thick and it is slightly sticky.However,I find it very comfortable and the thick consistency of the lip glass makes it more long lasting.The shimmer present is very gentle and non-gritty!! It provides glossy look to lips and the formula is quite hydrating which is great for dry lips.The shimmer doesn’t settle in the lip lines neither fly all over the place.The lip glass stays for about 3-4 hours on lips. 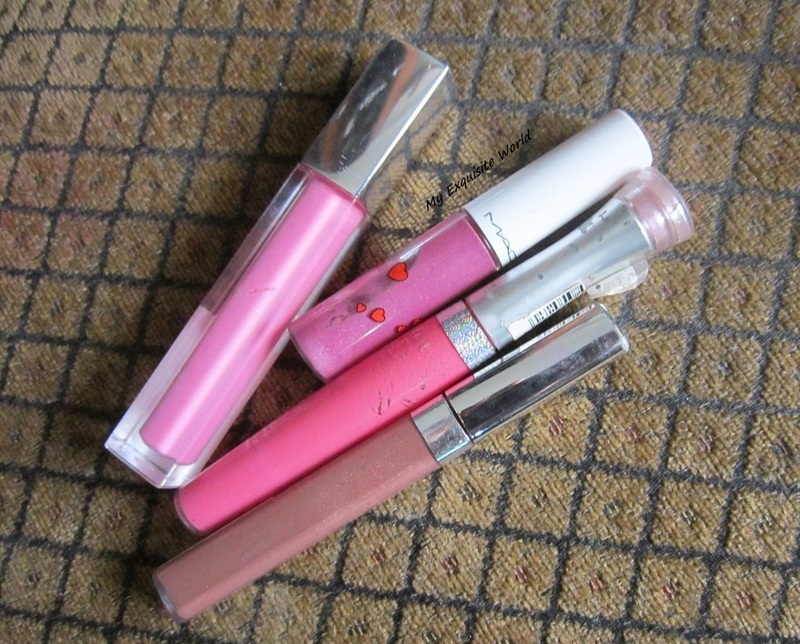 Maybelline Colorsensational Lip Gloss Plumtastic:- Rs. 250 for 6.8 ml. In the tube,the shade appears to be dull muddy brown but when swatched and on lips,it comes out as a gorgeous plummy brown.The brown tone is very subtle in it.It has fine silver shimmer that just add a bit of glimmer but nothing over the top. The texture is creamy and moisturising.It glides on smoothly on lips and the shimmer present is not at all gritty.The gloss adds warmth to my face and makes my lips appear healthy.It stays for about 3-4 hours on my lips and fades evenly.I like the non-sticky,lightweight formula.The shade itself is decently pigmented.It comes out sheer in one application but can be layered further on for full coverage.